Flashlights and lanterns are great but headlamps are awesome. They are able to provide illumination while leaving your hands free to do other things like chopping wood, setting up tents or tending to the fire. While it is common practice for hikers and campers to bring different kinds of lighting when they’re outdoors, headlamps make camping easier. However, like all camping gear, not all headlamps are created equal. 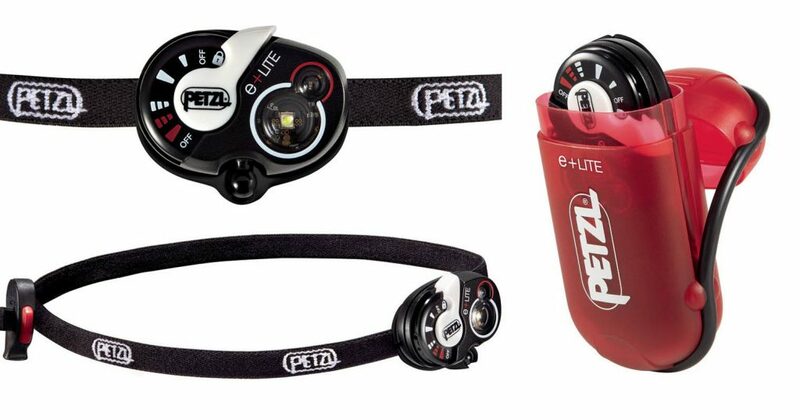 Headlamps come with different features, price range and durability. Here are some of our top picks if you’re looking for headlamps for your next camping, fishing or backpacking trip. Never fear running out of batteries while you’re in the wilderness with the Black Diamond ReVolt. Aside from being rechargeable it also packs a lot of great features for its price. It has a reasonable beam range of around 56-meter beam (about 180 feet). The beam is also adjustable so you can dim the light or brighten it to suit your needs. The ReVolt can provide illumination to up to 9 hours using the high-beam mode. Users have the choice of using AAA batteries or rechargeable ones that you can charge on a charger or through solar power. It also has a red light option for hunting and a strobe setting so that you can be seen from far distances. Don’t worry because there’s a headlamp for budget conscious campers too. The Tikkina from Petzl is lightweight, compact and very affordable. This headlamp is usually priced at around $17 depending on where you buy it and its batteries last longer compared to other cheap brands. However, the affordable price does have a drawback because it’s not as bright as other alternatives. 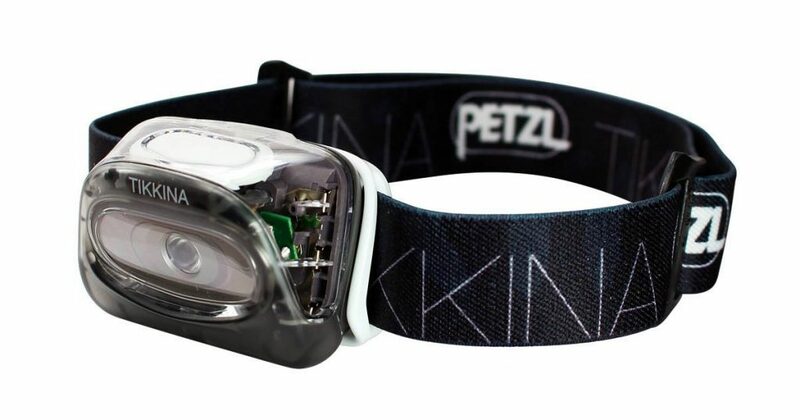 The Tikkina is a good backup headlamp or if you just want an affordable headlamp that has decent illumination. Weighing in at only 1 ounce (30g), the Petzl e+LITE is the lightest in the market and fits in the palm of your hand. It has a decent beam range of around 28 meters (about 90 feet) and the battery holds for a long time especially if you set it in low mode. During an emergency situation, flip on the emergency beacon which can flash up to 3 days. The headlamp is durable and is ideal for ultralight backpackers or people who value light weight and small size. At $30, the e+LITE is moderately priced. The compact handy case that the e+Lite fit in make it a perfect choice for and emergency or backup headlamp that can easily fit in a glove box, tackle box or tool box. 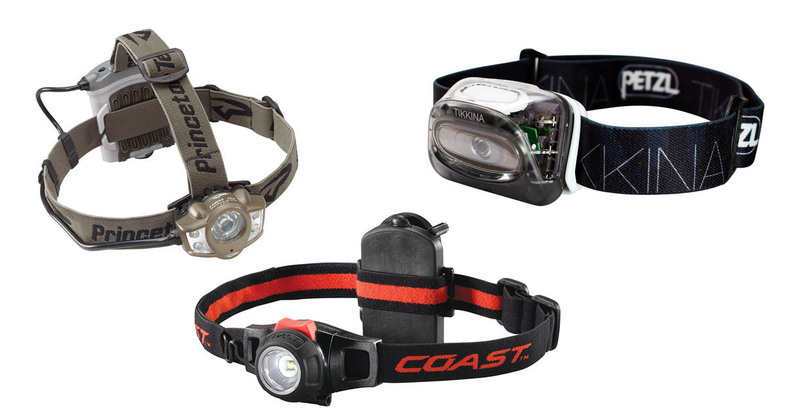 If you’re looking for a headlamp for overall use, check out the Coast HL7. It is reasonably priced, has good beam range and great value. It can cast a 131-meter beam distance and weighs a decent 4.5 ounces. The battery pack is located at the back which can be uncomfortable for some people; however, we found that the placement provides good balance for the user. The pricing is affordable at approximately $30, but the Coast has relatively poor battery life. 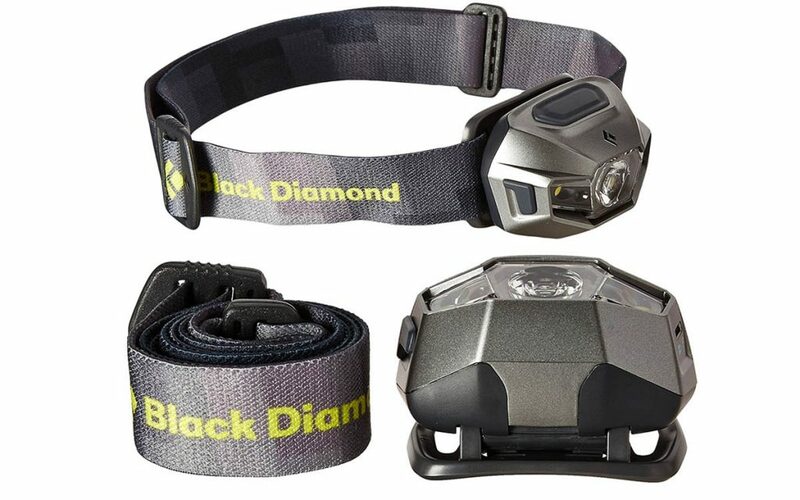 If you plan on buying this headlamp make sure to pack extra batteries because a pack can only last around 3-4 hours on high mode. However, the Coast is really easy to operate while it is on your head. Many headlamps have controls that are surprisingly difficult to operate while on your head. 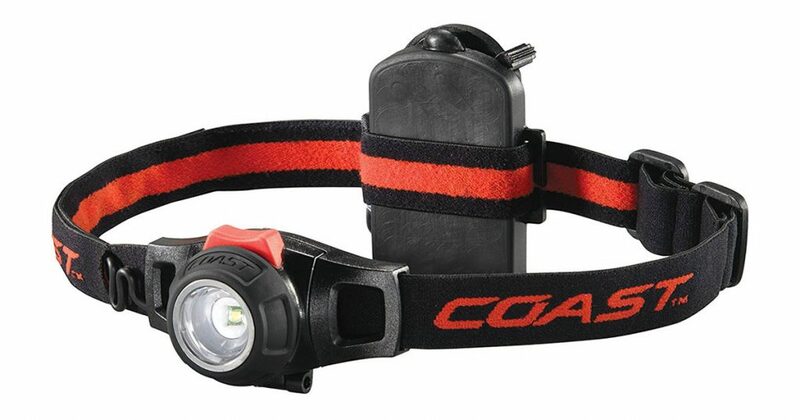 The Coast is one of the most simple headlamps to operate while on your head which is great, because if you have to take a headlamp off to adjust it that kinds defeats the purpose. The Princeton Tec Apex headlamps come in 4 different maximum power options ranging from 80 to 350 lumens. This has been a popular headlamp model for over 20 years, and while the design and performance has improved with technology the Apex has remained one of the toughest headlamps on the market. It is waterproof, comfortable and it’s heatsink technology allows the LED bulbs to burn brighter for longer periods of time than other headlamps on the market. Another plus for the Apex is that Princeton Tec is known for their great customer service. If you have a problem with any of their headlamps they will take care of it quickly. A headlamp will help you go to the bathroom or wash the dishes more easily at night. They are also essential camping gear when you’re climbing, hiking or orienteering at night. For these reasons, the right headlamp will make your outdoor experience more enjoyable and relaxing. If you are already set for a headlamp, but are looking for a light source that doesn’t attach to your head, check out our post on the best LED and propane lanterns.